This is a guest blog post written by the Sioux Falls Convention and Visitor’s Bureau. You can learn more about Sioux Falls here. There are plenty of reasons for you to stick around in Sioux Falls before or after the Sioux Falls Skedaddle. 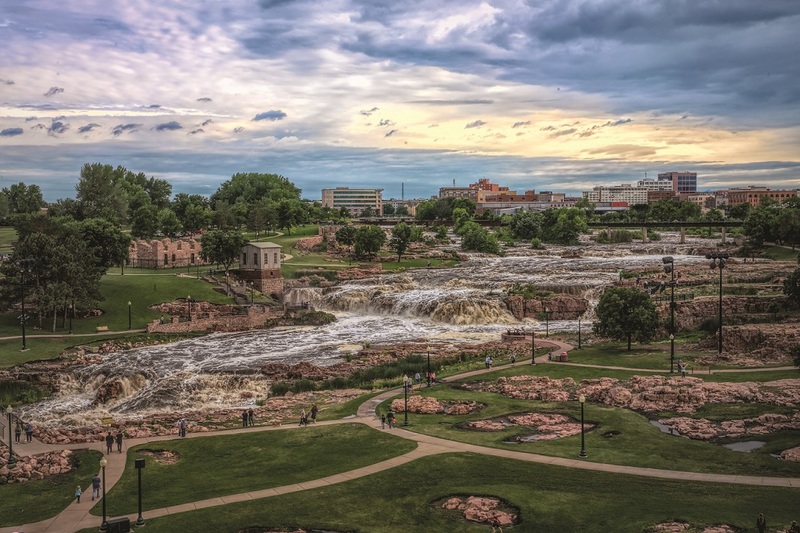 Sure, the race may be the primary thing on your mind, but we encourage you to get out and experience all that our city has to offer during your time in Sioux Falls. Downtown Sioux Falls is full of amazing art, including our SculptureWalk, which is made up of over 50 rotating sculptures placed along the streets for public viewing all year long. You will see a variety of sculptures of all shapes and sizes made from artists from all over the country. Don’t forget to vote for your favorite sculpture! The winning piece will be purchased by the city for permanent display. You’ll find an endless amount of amazing restaurants in Sioux Falls. Nearly every cuisine can be enjoyed, including Mediterranean, Japanese, Cambodian, Guatemalan, Brazilian, Italian and more! Spend some time with nature by exploring the hiking trails at Great Bear Recreation Park or Good Earth State Park. The trails are vast at both parks, each offering secluded areas with great vantage points. Whether you’re looking to get a little training in or you just want a peaceful walk, the Big Sioux River Recreation Trail is perfect for you! Enjoy scenic views on this nearly 30-mile paved trail that follows the path of the winding Big Sioux River as it passes through many city parks.